It all comes down to the simple law of supply and demand. 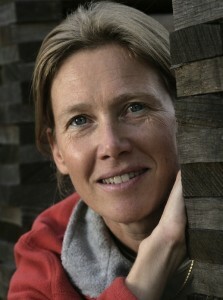 For good Burgundies, there is generally more demand than supply. French people like their wine, so there’s less to export to the non-Frenchies. 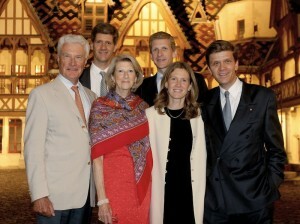 Not everybody lives in Burgundy or is fortunate enough to have family to “visit” there, like me (muhahaha). By the time things are shipped out, we’re left with a smaller pool to choose from. Throw in the tariffs and shipping, and Burgundies can be pretty pricey. So, how do you get the best bang for your money? Who are some of the top producers – Maisons (grower and negociant) and then Domaines? What terroirs allow me to find value? Can I actually find these wines at a liquor store by my house? Is the price of these wines between $20-40? Maison Louis Jadot: Founded in 1859 with roots in the vineyards of Beaune dating back to 1826, this Maison is now owned by their previous US importer, the Rudy Kopf family. Their vineyards are scattered across 154 hectares (380.5 acres) in the Côte d’Or, Måconnais and Beaujolais. Maison Bouchard Père et Fils: Their colorful history dates back to 1731. They are now owned by Henriot. With 129 hectares (321 acres) of vineyards (33 acres of Grands Crus and 183 acres of Premiers Crus), Bouchard is massive. I wrote an in depth article on Bouchard. To further illustrate my point above about the Frenchies keeping the goods for themselves, someone like Bouchard exports only 52% of their production. 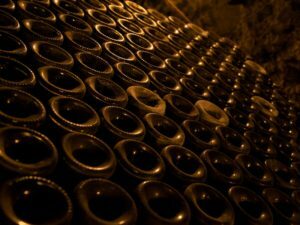 Bouchard produces between 3-3.5 million bottles per year. Um hello… that’s a little over 1.5 million bottles just for the Frenchies! That’s 202 hectares (884 acres)! 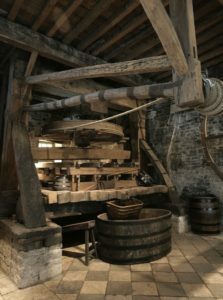 A Maison acts in both the negociant and grower capacity, so it makes wine from grapes grown on premises as well as grapes of other growers. They have it all… region (for example, Bourgogne Blanc, Bourgogne Rouge), district (for example, Côte de Beaune Villages, Côte de Nuits-Villages), commune (for example, Saint-Aubin, Marsannay) and single vineyard (for example, Les Ruchots). (Here is an overview of the classification system of Burgundy:). If the wines are made from their own grapes, it is noted on the label as Domaine. You can find some really nice values at the region, district and commune levels of wines for each one of these maisons. They have their footprint in almost every commune. Do the math on that. We all know that there are economies of scale here as production, shipping and marketing costs are all kept down. 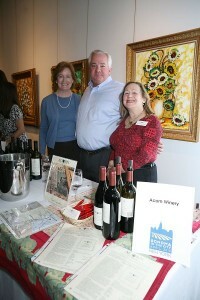 You benefit and you can actually find these wines in many locations. Own it: Do what you do and do it well. Some winemakers have a foothold in one or two communes. They know their family’s terroir like nobody’s business. Instead of hearing “Good Night Moon” or “Dr. Seuss” when they were 5 years of age, they were probably hearing bedtime stories about the terroir from their grandparents. Take advantage of that. Here are the communes and smaller producers where I found quality and availability (so decent volume and aggressive importers) within our set price parameters. Use these communes as guidance for the 3 maisons I mentioned above. Marsannay-la-Côte (Marsannay): This commune has no Grands Crus or Premiers Crus, but it’s relatively easy to get a tasty Marsannay for anywhere from $20-35. Typically, expect black fruits and possibly some licorice. Sometimes, these wines can be a little fruity and lighter in weight. Here are some domaines of note: Domaines Joseph Roty, Jean & Jean-Louis Trapet and Bruno Clair. Morey-Saint-Denis: This region is nestled in between Chambolle-Musigny and Gevrey-Chambertin. (Here’s an in depth look at Morey-Saint-Denis.) 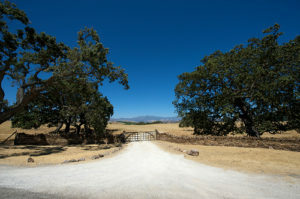 It’s tough having super famous neighbors, so some of the Premiers Crus (single vineyard) offer a value proposition. You’re going to have to search, but search you must. You can find some of these for under $40. Check out Domaines Hubert Lignier, Frederic Magnien, Pierre Amiot, Arlaud, Fourrier and Heresztyn. 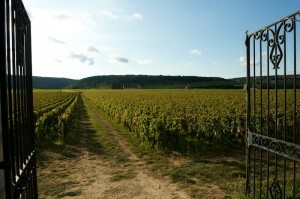 Savigny-lès-Beaune: Roughly 85% of what they produce is red. There are no Grands Crus, BUT there are 22 Premiers Crus and many within a $23-45 price range. It’s relatively easy to find these with a $30 handle. LOOK for them. Expect to taste red fruits, mocha and/or coffee and possibly some dusty tannins. Domaines Joseph Roty, Bruno Clair and Lignier Michelet and Maison Nicolas Potel are names to track down for value and quality. Santenay: Located at the base of Côte de Beaune, but one of the larger communes, Santenay is known for light bodied reds, many which can be found for between $16-40. Typically, their wines are considered to be rustic, gamey, possibly with some smoke on the palate. Look for the following producers: Domaines Joseph Roty, de la Pousse d’Or, Louis Latour and Vincent Girardin; Maisons Joseph Drouhin and Nicolas Potel. Bonus Round: Here are a few other value propositions to look for in the Côte d’Or — Chorey-lès-Beaune, Ladoix, Nuits-Saint-Georges (loads of inexpensive 1er Crus here) and Monthelie. I know I said I would focus on wines from the Côte d’Or this time around, but I can’t help but add Givry from Côte Chalonnaise to this list. Saint-Aubin: Nestled right by illustrious Meursault, Puligny-Montrachet and Montrachet, this commune offers outstanding values, with decent wines for $14-36. Roughly 2/3 of their production is Pinot Noir, but I really enjoy their whites. One of the wine makers I met in Burgundy jokingly referred to Saint-Aubin as the “poor man’s Montrachet” (P.S. not derogatory in any regard as this wine maker ‘fessed up to Saint-Aubin being his daily, go-to wine). It’s fairly easy to track one down for $35. Expect citrus, white flowers, stone/flint and austerity on the palate. Look for Domaines Pierre-Yves Colin-Morey, Jean Marc Morey, Jean Chartron, Jean Rijckaert and Philippe Colin. Chassagne-Montrachet: Right next to Saint-Aubin, but slightly southeast, Chassagne shares Le Montrachet and Båtard Montrachet with Puligny-Montrachet. Look for the Villages and Premiers Crus. You can find some for around $30. Expect floral tones, intermingling citrus, light yeasty notes and minerality. These wines tend to be more rich, rounded and succulent for the entry level. Search for Domaines Faiveley, Jean Marc Morey, Frederic Magnien, Bernard Morey, Chåteau de la Maltroye, Colin Deleger and Jean-Noel Gagnard. Beaune: There’s lots of Pinot here and 3/4 are Premiers Crus, but there are some lovely whites. Be certain to look for Maisons Louis Jadot and Bouchard and Domaines Jean Marc Boillot and Chanson. Marsannay Rosés: I love Pinot Noir. I enjoy Champagne made from Pinot Noir. I enjoy Burgundy made from Pinot Noir. And guess what… I enjoy rosés made from Pinot Noir. Marsannay rocks this genre out for $20-$30 (and sometimes under $20). Expect to taste strawberries with a bit of minerality. Some names to look for are Domaines Bruno Clair and Charles Audoin. 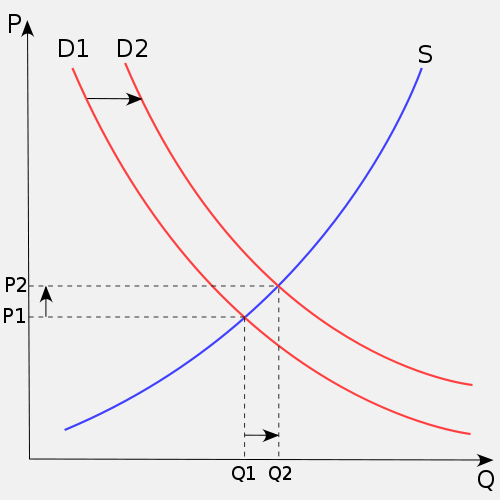 Source: Supply and Demand curve, Wikipedia. Used under the terms of their Creative Commons License. Le Montrachet… Everybody wants a piece of it, so what’s with all of the dashes? Le Montrachet is probably the most famous white Grand Cru. The communes of Puligny and Chassagne share this beloved Grand Cru, so they both affixed their name to it, resulting in Puligny-Montrachet (as of 1879) and Chassagne-Montrachet. Puligny and Chassagne also share the Grand Crus Bâtard-Montrachet, which is located at the bottom of the slope, and, at the top of the slope, but still within Puligny, is the Grand Crus Chevalier-Montrachet. I am going to focus on Puligny-Montrachet. Puligny-Montrachet is only about 575 acres (230 hectares), in total. It contains 4 Grand Crus (Le Montrachet, Chevalier-Montrachet, Bâtard-Montrachet and Bienvenues-Bâtard-Montrachet) and 13 Premiers Crus. For Le Montrachet, “part of the secret lies in the limestone, part in its perfect south east exposition, which keeps the sun from dawn till dusk.” The Oxford Companion to Wine, edited by Jancis Robinson. Chardonnay thrives here. I visited Burgundy in the thick of the harvest. 2009 was shaping up to be an amazing vintage, but rainstorms were imminent. Rainstorms during a harvest have the potential to destroy a vintage by making the wines too flabby. The air was full of frenetic energy and the promise of a stellar 2009. The timing of my visit was not optimal since one of my missions was to spend as much time as I could with the producers. Despite the flurry of activity, wine maker Jean-Michel Chartron from Domaine Jean Chartron graciously welcomed us to his domaine. Fifth generation and not quite 40 years old, he is now at the helm of the family business. They have just shy of 30 acres (Puligny and neighboring villages), with the majority being Premiers or Grands Crus. They are very humble about the elegance and finesse of their wines and fly just under the radar for many. This Domaine is one to watch. Hospice de Beaune sidebar: The 100 years war left many in the areas around Beaune destitute. In 1443, Duke Philippe le Bon (literally Phillip the good) and his Chancellor, Nicolas Rolin, reacted by establishing a hospital for the poor – Hôtel Dieu. Make no bones about it, wine was and still is the industry of this region. People paid for services as (and if) they could with wine or donations of wine to the hospital. Over the years, the collection became immensely impressive. The Hospice de Beaune auction, which dates back to 1859, is conducted on the third Sunday of each November and benefits the Hôtel Dieu, which is now a museum, and the Hôpital de la Charité, which still serves the medical needs of those with lesser means and the elderly of the community. Until 2005, the length of the auction was dictated by the amount of time it took for a candle placed next the auctioneer to extinguish. When the candle burned out, the auction was over. Christie’s now hosts the auction. Please note prices below reflect those paid directly at the vineyard and are not inclusive of taxes, importing fees, etc. I chose to taste Domaine Jean Chartron’s whites this time. All of the wines below are 100% Chardonnay. Turkey day is coming up for those in the States; I’d pick any one of of these as a white-wine option. A deliciously baked, juicy herbed chicken would be so yummy too. Also, wave in any goat cheese to go with any one of the wines below. 2007 Puligny-Montrachet: This was my second fav from this domaine we tasted. 2007 Clos du Cailleret: This was my favorite one that I tasted from this domaine. I loved the finish, minerality and complexity. I make a mean scallop and pumpkin risotto. This would be an unbelievable pairing. 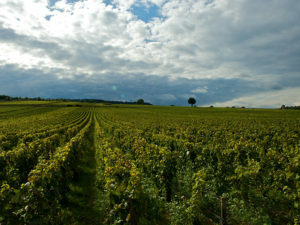 Burgundy is a wine region in France that includes Chablis, Côte de Nuits, Côte de Beaune, Chalonnaise, Mâconnais and Beaujolais. The majority of Burgundy is a narrow strip of land north of Lyon and south of Dijon, straddling Beaune. I recently visited this part of Burgundy (Côte de Beaune and Côte de Nuits), so this will be the focus. If I have my way, this will be a recurring trip, so Mémé Néna, Tata Michelle, Tata Jeanette and Tonton Jeannot, be careful what you wished for. In some regards, most of Burgundy is so much smaller than it seems on a map. The heart of Burgundy is only about 40km (25 miles) long. Inclusive of many stops along the way (mandatory for tastings), from base to tip, it is completely drivable within a few hours time. Most Burgundian wines are either 100% Pinot Noir or 100% Chardonnay, so that adds to the ease of understanding these wines. It’s the sheer number of individual vineyards that makes Burgundy so difficult and confusing. Prior to the French Revolution, either the church or nobility owned most of the land in Burgundy. The French Revolution was both anti-church and anti-aristocracy (“let them eat cake” reverberates in the background), so properties of the church and nobility were seized and sold off. The Napoleonic Code revamped inheritance laws, forcing equal division of property as opposed to the prior law that left all property to the eldest son. From generation to generation, and heir to heir, the land became increasingly fragmented. As a result, much of Burgundy is a whole bunch of small vineyards, all with distinct names (“lieu-dit” or said place), registered at city hall. France categorizes their wines by terroir – so, for higher quality wines (Grands Crus and Premiers Crus), each is an appellation in its own right, and the wines are categorized as such – so not by wine maker, not by Domaine, not by varietal, but rather, by the distinct parcel of land that the grapes come from. The names of the Premiers Crus are known by the name of the village first, with the name of the distinct site following, whereas Grands Crus are known exclusively by their distinct site and nothing else is required. It can get very confusing if old world classification is not the logic you are familiar with. Throw another language into the equation, along with the sheer magnitude of distinct plots (32 Grands Crus and 562 Premiers Crus), and it’s a mouthful. At the Communal level, we know the wine could come from one or more distinct plots of land within the commune. Using our New York example, let’s say the wine came from one or more places in the West Village. The wine would be classified as “West Village.” Note: There are some instances where a Communal level wine could come from a single vineyard. In this instance, it would be noted on the label, but in smaller font size than the name of the village. The Grands Crus are at the top of the triangle and are known exclusively by their geographical distinction. By law, nothing else is required since there are only 32 (ex. 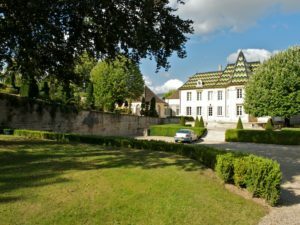 Clos de Vougeots – There is no mention of a village. That one specific plot of land is how it is classified). Since the Grands Crus are distinct entities, using our New York example, the wine would be classified as “Time Warner Center.” To add to the confusion, a Grand Cru, such as Clos de Vougeots, consists of about 124 acres with about 82 owners. The Time Warner Center has a ton of restaurants, bars and shops. In our example, how do we know which restaurants, bars and shops make the best wines? Even though the wines wouldn’t be classified by the names of the restaurants, bars and shops, the wines would still have that name on the label. In all examples mentioned, when examining how the wine is classified, maybe the wine is good, maybe it’s not. This is when we examine the label to see who the wine maker (or negociant) is. In each of the examples above, even though wines would not be classified by the estate or the wine maker, the name of the producer is listed on the label and aids with quality control, it’s just not how it’s classified. Most experts feel that 90% of the wine we consume has to do with the possibilities of the terroir – location, climate and varietal(s) – so the focus should be on the terroir. The location will always remain static. Don’t get frustrated. It just requires a different thought process. The wines are so yummy, so the payoff exists. On the flip side, if I asked most of my French family which varietals they liked, they’d shrug their shoulders. They know they like Burgundian wines. (They stick with these wines because it is what they know. Why fix something that isn’t broken?) However, they wouldn’t be able to tell you that they like Pinot Noir or Chardonnay. They know the wines they love by location exclusively. It’s not wrong or right; it’s just a different school of thought. Côte de Nuits and Côte de Beaune are separated into two parts around the town of Beaune, Côte de Nuits to the north and Côte de Beaune to the south. Côte de Beaune produces about 57% red and 43% white wine* (but 7 of the 8 Grands Crus in Côte de Beaune produce white) and Côte de Nuits primarily consists of reds. Back in the days of the dinosaurs, most of Burgundy was under water, resulting in lots of small fossils that are omnipresent in the soil there today. 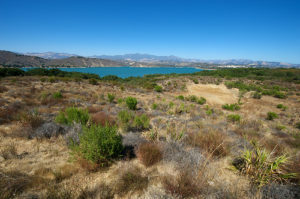 As a result, the soil is well drained, and limestone rich. There is also some clay, and minerals such as iron, magnesium and lead. 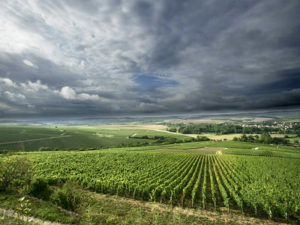 Burgundy has a continental climate with four seasons. Winters are frigidly cold and summers are fairly warm. Most Burgundian wines are comprised of either 100% Pinot Noir or 100% Chardonnay. From time to time, you might see Aligote or Muscadet, but Pinot Noir and Chardonnay rule the majestic Côte de Beaune and Côte de Nuits. Further south in Beaujolais, Gamay rules. 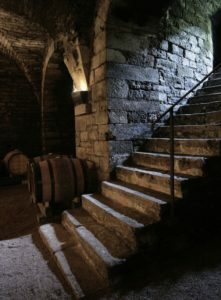 Chardonnay – Generally speaking, most of the Chardonnays in the Côte de Beaune go through malolactic fermentation (often referred to as secondary fermentation), which is the process of converting harsh malic acids into softer, milky acids. 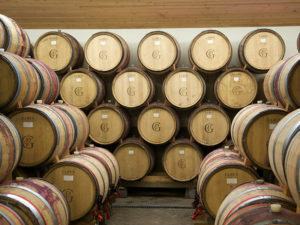 Wines are barrel rather than steel aged. This is why these Chardonnays have that buttery, creamy, hazelnut flavor rather than the steely (but still so lovely) wines of Chablis, which are also 100% Chardonnay, but aged in steel tanks. Chardonnay just can’t get enough of the limestone soils of the Côte de Beaune, which contributes to that fantastic lingering minerality. Chardonnay thrives when there is less clay, so toward the top of slope in the Côte de Beaune is optimal. Pinot Noir – Think red fruits here – cherry, raspberry and strawberry. Over time, throw in the possibly of cedar, sandalwood, some cigar box, gamey and vegetal notes. These grapes are thin skinned and very sensitive to rot. This past year, we happened to be there during the harvest and it started to rain, so every possible warm body was out in the field frenetically working. 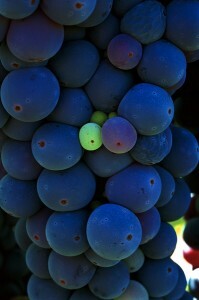 Pinots are worshiped for their finesse and elegance. During fermentation, some use wild and natural yeasts often resulting in that barnyardy, old world funk (which I LOVE). Pinot thrives in the limy marl (clays, calcium and magnesium carbonates) present in this area. 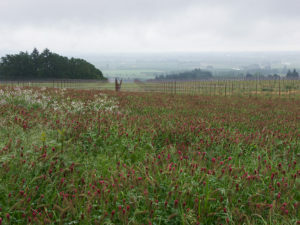 In Côte de Nuits and Côte de Beaune, vines are very densely planted. With a competitive root system, the plant digs deeper into the soil and gets those nice, minerally elements. Vines are trained along low wires and primarily use the single guyot pruning system (a single, horizontal cane from the trunk). What fabulous Burgundies can you pick up from your local wine store for under $40? As an aside, there’s a lot of material I’ve learned over time from books, tests, tasting, meeting with wine makers and others in the business, etc. which I have jammed in my head. 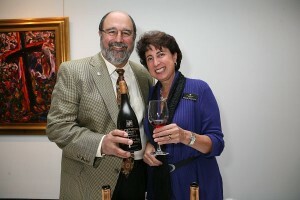 I must reference Côte D’Or, A Celebration of the Great Wines of Burgundy, by Clive Coates, Master of Wine. His book is the most comprehensive one I’ve read on Burgundy. His “tell it like it is” style is refreshingly honest, without the gimmicks or obsequious comments many other wine writers make. If you have a passion for these wines, this is the book you should pick up.